Spend RM40 or more at any PETRONAS stations and/or Kedai Mesra nationwide. Answer the questions in the contest form. Then, fill in your contact details and attach your original receipt with the contest form and drop it off at any PETRONAS stations. Winners will be notified via the contact number given. 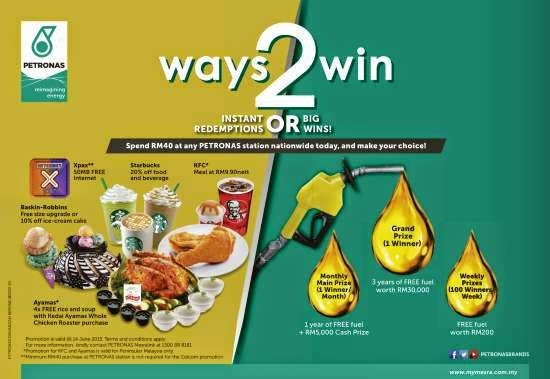 Visit PETRONAS Ways2Win Contest terms & conditions for more details.